Kathy has had her stone carving studio at the farm for several years and has also held stone carving classes. Her students have always remarked on what a beautiful and inspiring setting it is. Some fellow artists spoke to us about the difficulty in finding affordable studio spaces in the Burlington area. 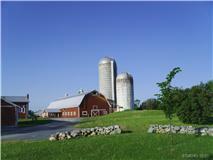 We have a large former dairy barn that was not being used and figured that it could easily be divided into studios. As we spread the word about what we hoped to do artists began to be interested. In January of 2010, there were two artists working here in the carving studio. 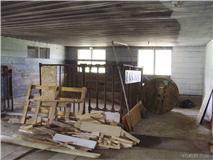 Renovation of the barn into studio spaces began in March 2010, and by October 2010 there were 12 artists on site. Now, in 2012, there are 17 artists working in their studios here.The vision of our year-round sculpture exhibit began to materialize in June of 2011. 8 sculptures are on display in the fields and lawns of the farm, representing 7 Vermont sculptors. To find out more information about our artists please click on the pages to the right.